3 April 2018, at 12:00a.m. Assessing crop fill at key times after placement is a useful means of determining appetite development and checking that all chicks have found feed and water. The chicks need to find feed and water quickly to achieve good growth rate, feed conversion ratio (FCR), flock uniformity, skeletal development and processing performance. 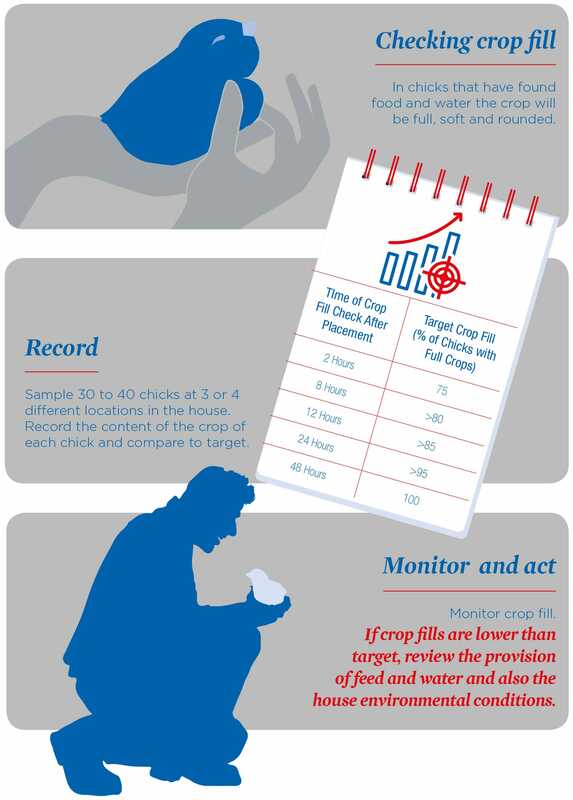 This information is taken from Broiler How To 4- How to assess crop fill.